Ayushi Poddar (13 years) of West Bengal created sensation when she won all three gold medals in Senior, Junior and Youth category of Air Rifle (Women) event in All India G V Mavlankar Shooting Championship. being held at Ahmedabad from 5th October 2014. She scored a fabulous 389/400. With this score she created a new meet record in Air Rifle, Junior Women category. 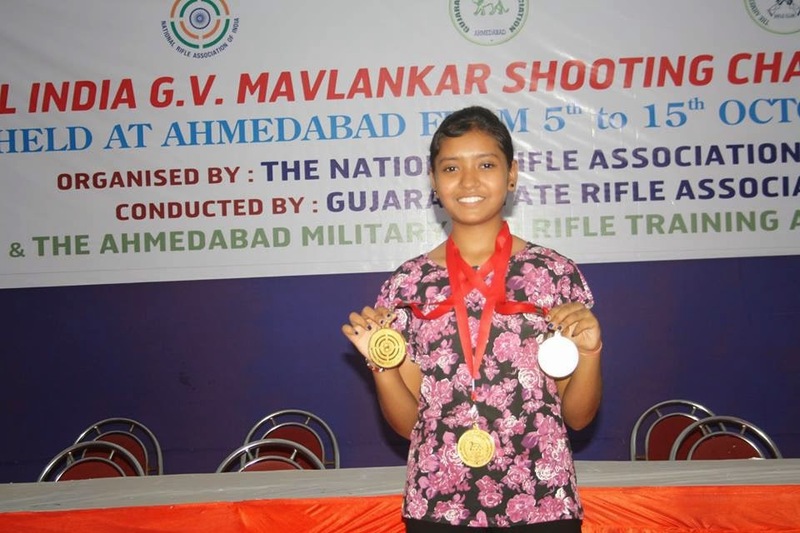 Last month Ayushi won two gold medals in State Shooting Championship 2014. Under the coaching of her father and national shooter Pankaj Poddar, Ayushi showed tremendous improvement in score within last one month.